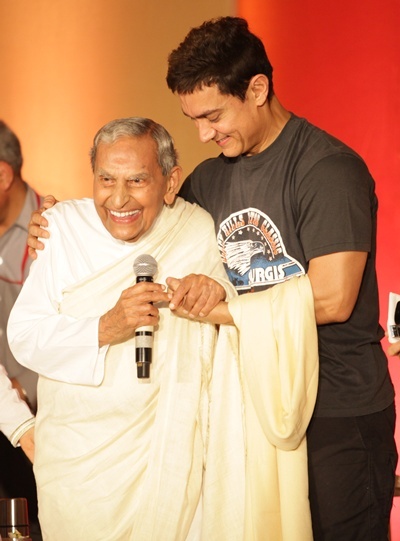 Aamir Khan, one of the many star followers of Dada Vaswani of the Sadhu Vaswani Mission, traveled to Pune on July 28 to kick off the spiritual leader's 94th birthday celebrations. The actor, who met the Sindhi spiritual leader three years ago, moderated a session with him as part of the celebrations. 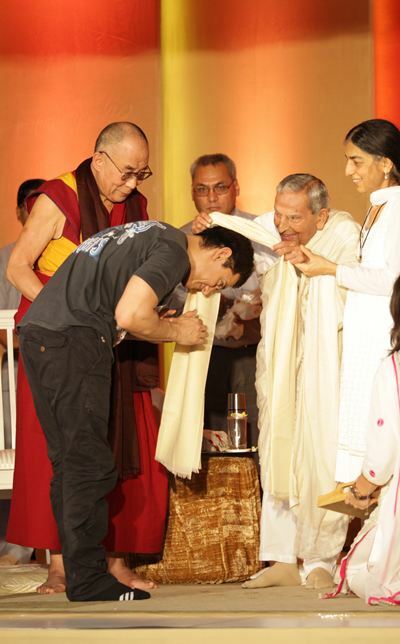 Punekars who turned up to attend the book unveiling on Sunday were in for a real treat -- the Dalai Lama emerged on stage to join Aamir and Dada Vaswani for an extended chat on religion, among other things. 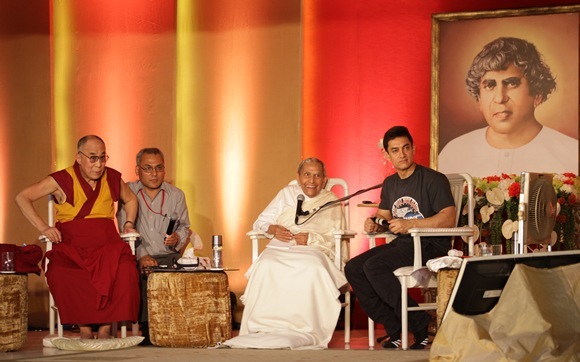 The Tibetan leader also unveiled Dada Vaswani's newest book -- Many Scriptures One Wisdom -- at the do. 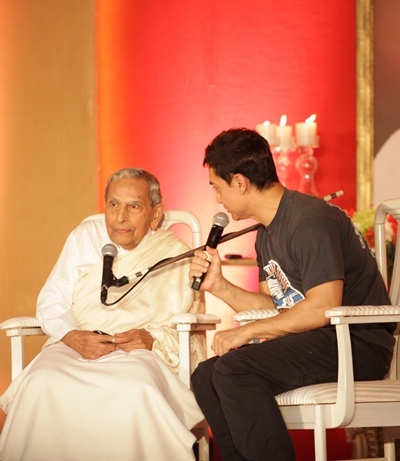 Aamir, in conversation with Vaswani on his new book and reflections on spirituality. 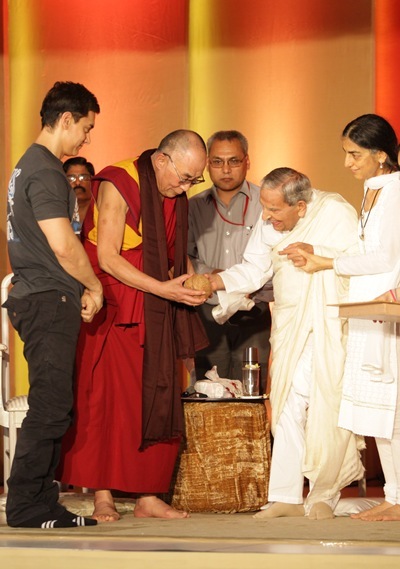 Vaswani offers a coconut as a mark of respect to His Holiness the Dalai Lama. The spiritual leader presents a shawl to his star follower at the ceremony. 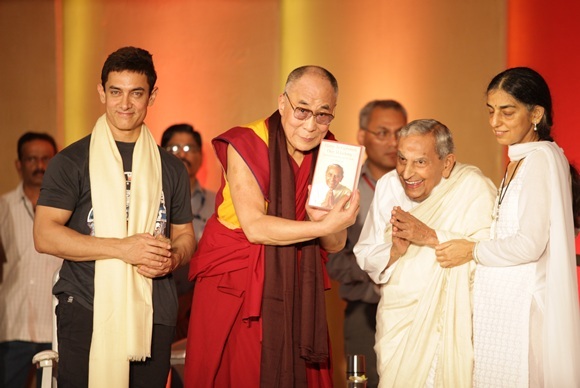 The Dalai Lama unveils Vaswani's new book. Birthday Special: Sanjay Dutt's 10 PAISA VASOOL dialogues! Want to wear Shah Rukh and Deepika's outfits? Will THIS film be the next Ship Of Theseus?